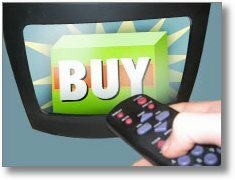 It might sound unusual to some of my readers but I make a habit out of watching television commercials. I don’t do this because I like the commercials…I watch strictly to critique them. Locally made ones are usually the worst because many of them are so poorly made. To save money, many businesses will use their own family members to sell their products and/or services. Not a great idea when the person looks scared to death or can’t enunciate their words or even worse, looks like their reading from a teleprompter. As much as I love children, I don’t care for the ones that use their children and grandchildren to sell their products. The cuteness appeal may be there, but really, no-one is understanding a word these little ones are saying . Isn’t the purpose to leave the viewer with a thought or two about what is being advertised rather than thinking about a kid’s missing two front teeth? Here are a few of my most disliked nationally aired commercials. Commercials for skin products designed to fight aging which includes just about every company out there. Please don’t show a 30 something face and try to convince women over 50 that if we use your products, we will look like the model…Not happening!! Congratulations to M.A.C. for using a 91 year old model in one of their latest ad campaigns. Though I did not see it on television, I still want to acknowledge them for stepping outside the obsession with youth! Let us help you pay off your debt companies. Most of these are Scam…Scam…Scam. They prey on the people in the worst financial situations and cost them more money down the road. I’m surprised more of these companies haven’t been investigated and shut down. Teeth whitening products…Please give consumers more credit than THAT! You are using models whose before teeth are almost perfect. Do they honestly think we don’t notice that? My most disliked is the one where the girl shows her passport to two hunky airport employees (after whitening her teeth) and they look at her picture and just can’t believe it is the same girl. Fake…Fake…Fake. Pharmaceutical companies touting their drugs are my biggest pet peeve. Again, the writing on the bottom of the screen is too small for even the normal sighted person to see. When the side effects are verbally listed, the speaker goes faster than an auctioneer! The background scenes going on aren’t believable. No-one acts like that in real life! The list could go on and on but I think you got the message that advertisers need to come up with some better commercials. If they don’t, they’ll be wasting millions of dollars, which we all know… the consumer ends up paying for in the long run! I’m with you Miss Debi. Will you help me put out a hit on Flo? I love Flo…Her BIG hair is almost as big as mine! One day, there will be little Flo babies helping her sell insurance! If I could watch her without listening to her that’s be OK. I think my hair is as big as yours these days, maybe bigger. Big hair is good! Your husband won’t lose you in a Super Walmart!